工作天:4-20天 / Working day about :4 days to 20 days. 簽證費 : 電洽 / Visa Fee : Call our office. 簽證種類 : 單次 / 兩次 / 半年多次. S1 赴中國長期（超過180 日）探親的因工作、學習等事由在中國境內居留的外國人的配偶、父母、未滿18 周歲的子女、配偶的父母，以及因其他私人事務需要在中國境內居留的人員. Issued to relatives of foreigners working or studying in China for the purpose of long-term visit, or to those who intend to visit China for other private reasons (intended duration of stay exceeding 180 days). Relatives” refer to spouses, parents, sons or daughters under the age of 18 years and parents-in-law. Issued to those wishing to visit family members that are foreigners working or studying in China, or to those who intend to go to China for other private reasons. The intended duration of stay in China is limited to no more than 180 days. "Family members" refers to spouses, parents, sons, daughters, spouses of sons or daughters, brothers, sisters, grandparents, grandsons, granddaughters and parents-in-law. ** 不能進入西藏,如需進西藏需另行查詢. Can not entry [ Tibet ] ,If want to entry tibet please call our office. ** 不受理 宗教人士,新聞記者,政治人物. Do not accept religious persons, journalists, political figures. ** 辦理商務多次必須已擁有2個商務中國簽證(M VISA) If you want to apply six months multiple Entry Visa ,You must be apply after 2 times for our company. ** 每次進入中國只能停留30天,如需超過30天必須先告知本公司. Each time you can stay 30 days, if you will over 30 days must tell us frist. 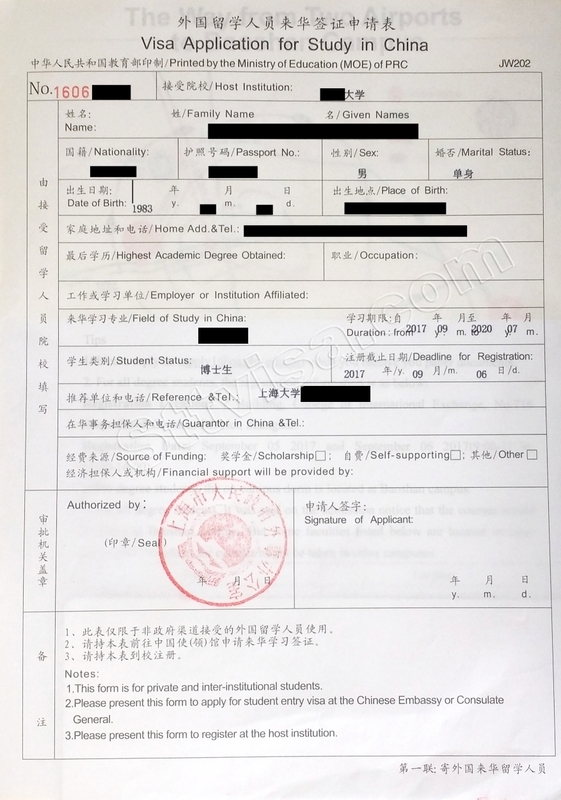 the application is returned, the Chinese embassy will charge NT1000 fee. Special price for: United States, the Netherlands, United Kingdom, Brazil, Kazakhstan, Uzbekistan, Armenia, Iran, Ethiopia, Angola, Congo, Gabon, Cameroon, India, Nepal, Côte d’Ivoire, Belarus,Russia, Moldova,South Africa, Ukraine, Panama, Bolivia, Ecuador, Venezuela and Chile, Poland, Eastern Europe, France ,Canada,etc. Our visa section has applied China visa for about 20 years! You can trust us! Address : 6 FLOOR - 8 No.40,Chang Chun Rd.,Taipei,Taiwan.